Dr Bojan Boskovic from Cambridge Nanomaterials Technology gave a lecture on 25 January 2012 “Commercialisation of Carbon Nanomaterials“ as a part of the Applied Lectures series of the MPhil course in Nanotechnology at the Department of Materials Science and Metallurgy, University of Cambridge organised by Dr Catherina Ducati. 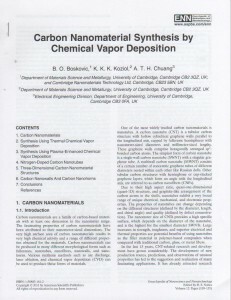 The second edition of the Encyclopaedia of Nanoscience and Nanotechnology has been published by the American Scientific Publishers earlier this year. 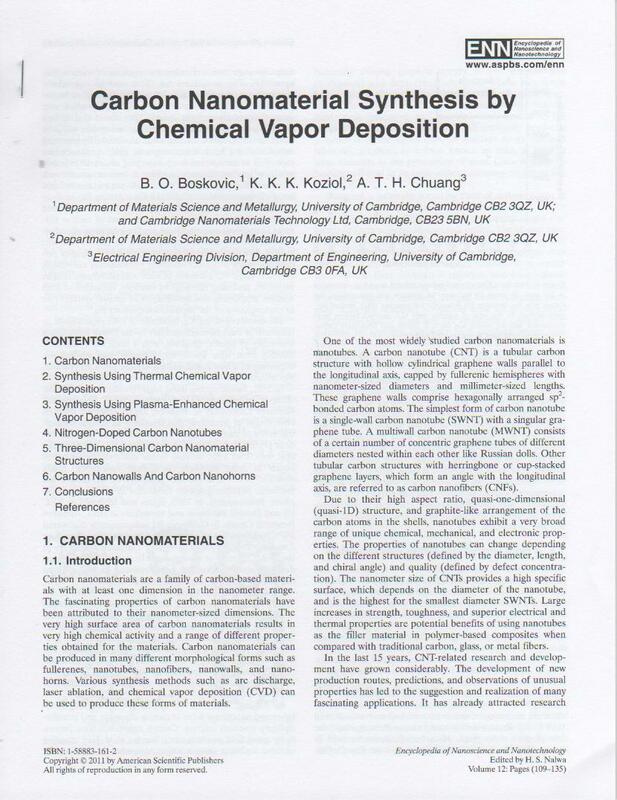 In this editon a chapter about Carbon Nanomaterial Synthesis by Chemical Vapour Deposition with Dr Bojan Boskovic from the Cambridge Nanomaterials Technology Ltd (CNT Ltd) as the first author has been published in the Volume 12 (pages 109-135).